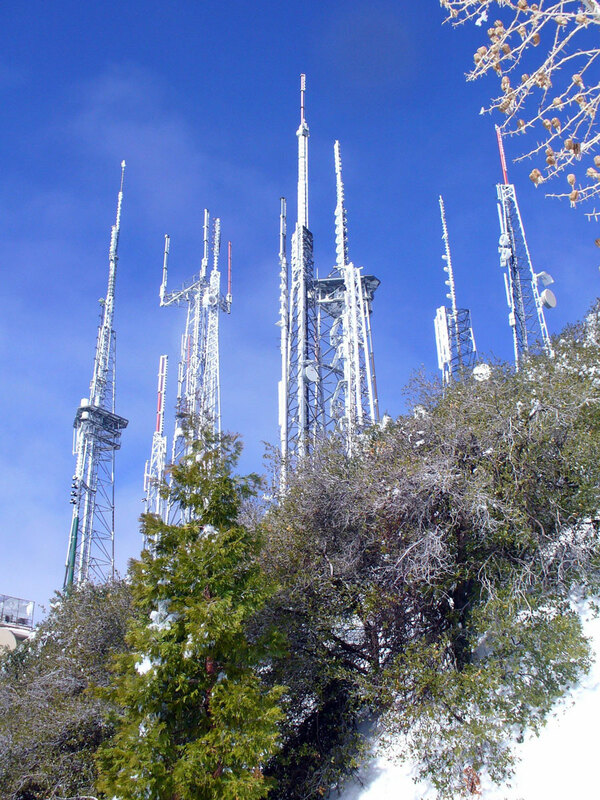 Mount Wilson is one of the better known peaks in the San Gabriel Mountains, above Pasadena, part of the Angeles National Forest in Los Angeles County, California. 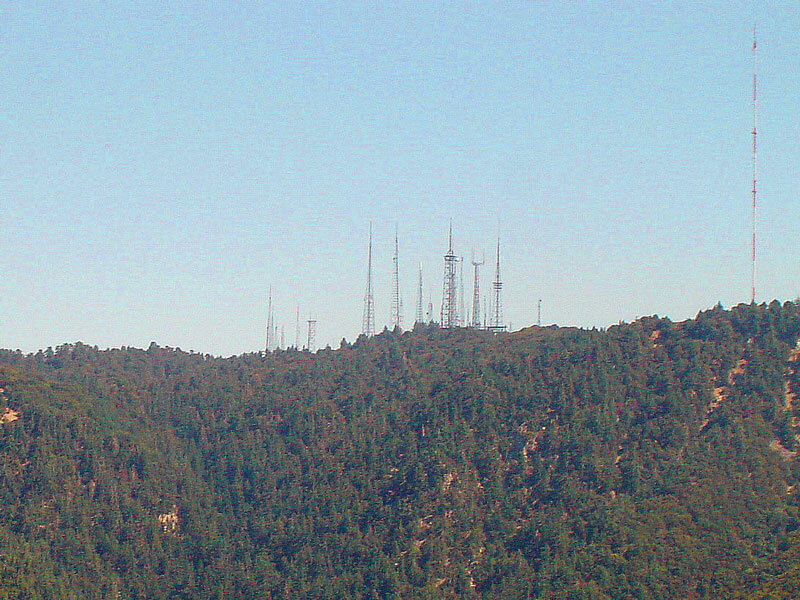 It is the location of the Mount Wilson Electronics Reservation. 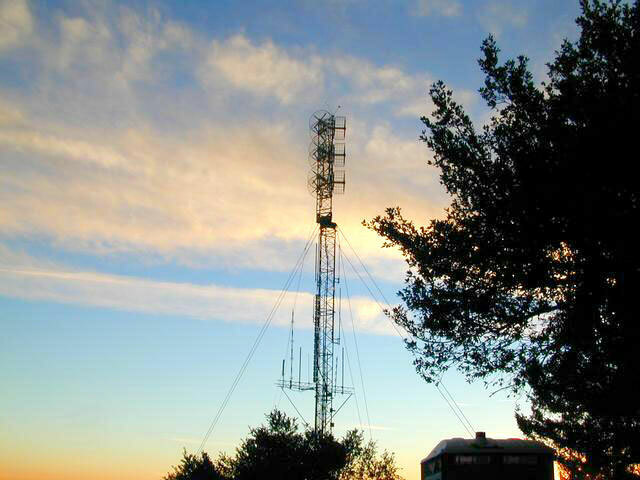 In 1948 the first television transmitter was installed here. 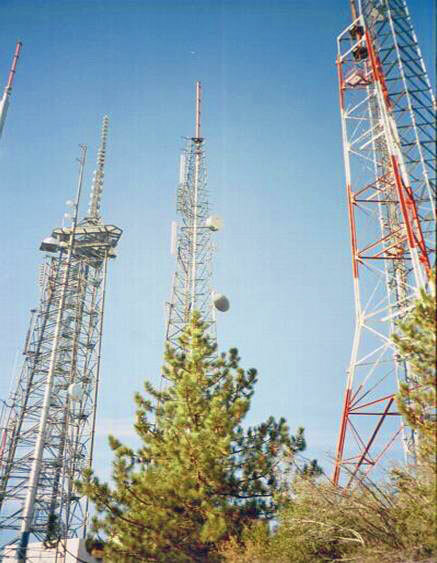 Seeing the future in the new fangled media of TV and FM radio broadcasting, the Metromedia Company bought 720 acres from the Mt. 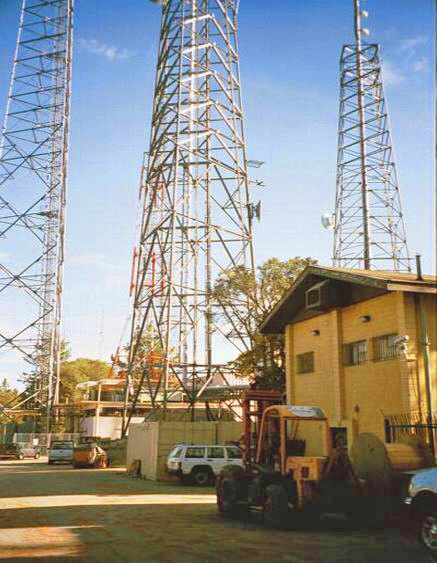 Wilson Hotel Company and started leasing out space for the ever increasing numbers of commercial broadcast antennas. 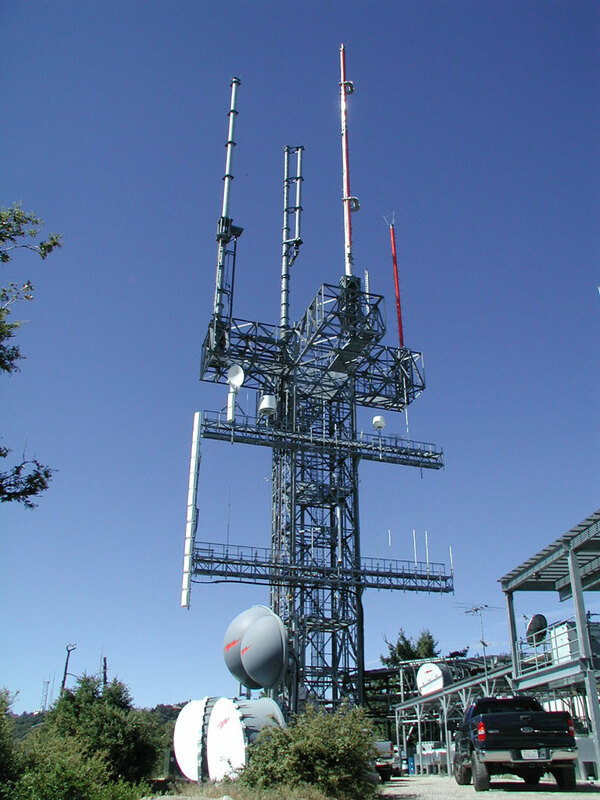 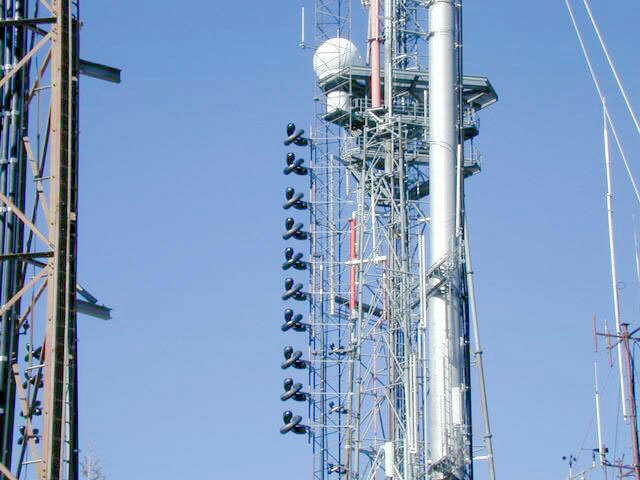 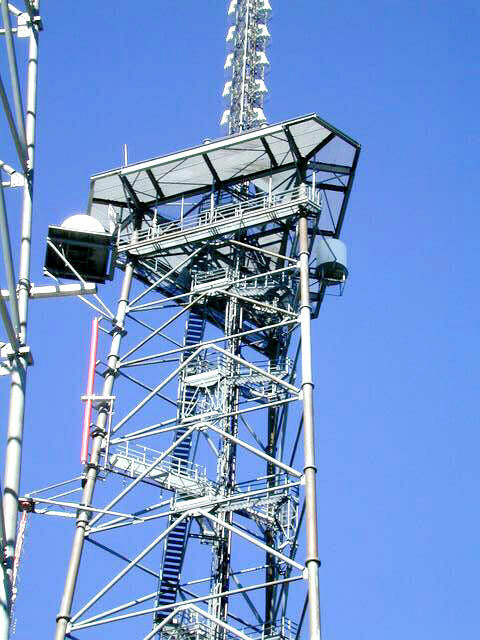 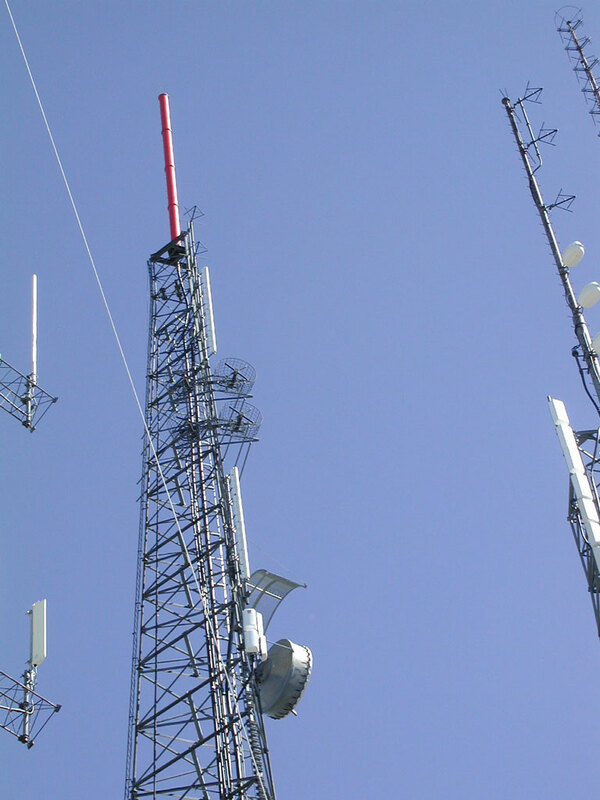 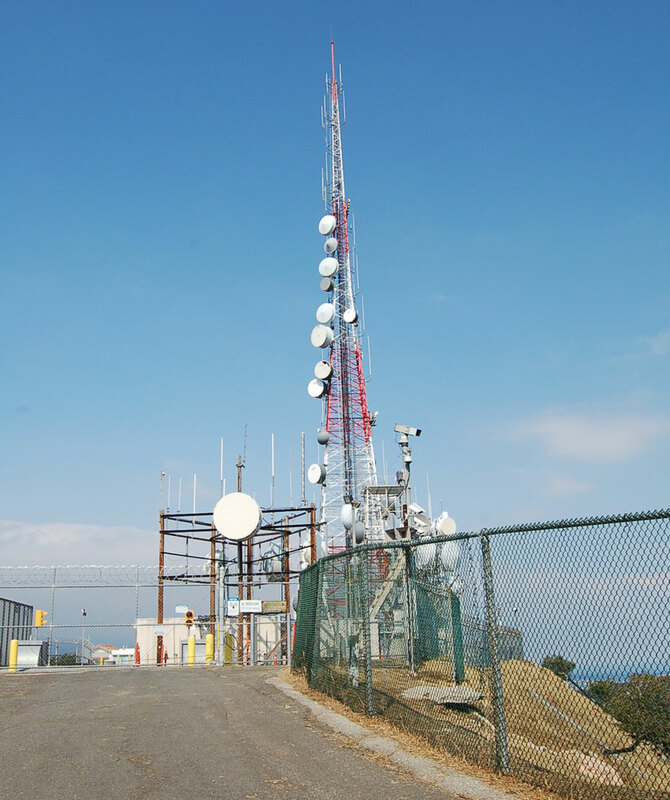 At an average antenna height of 6000 feet above sea level, 5500 feet above metropolitan Los Angeles, and 3000 feet above average terrain, this is a superpower site, with typical coverage footprints of 5000 square miles. 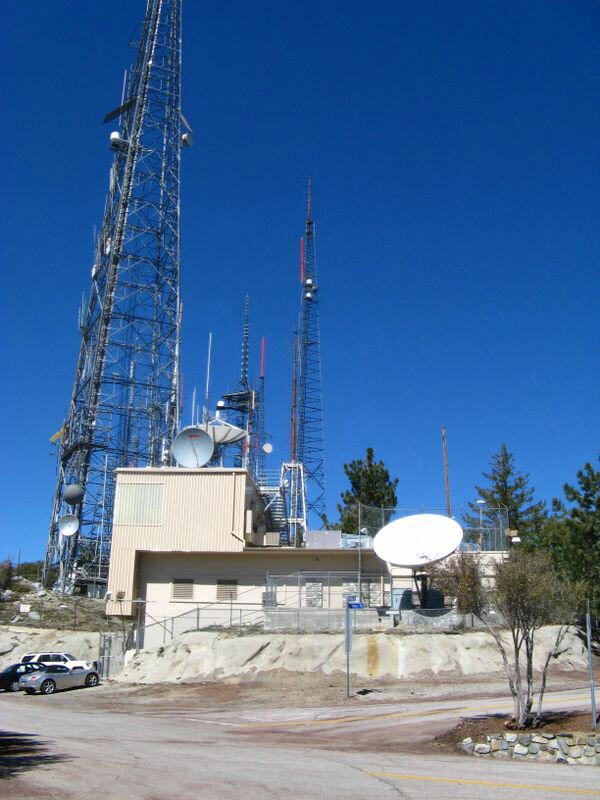 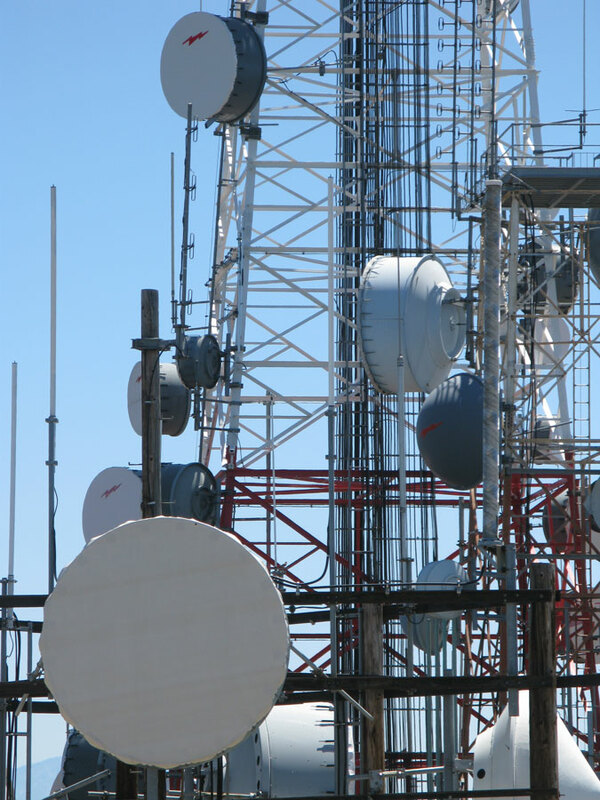 The television stations here also have incredible reach because of the height of the site, along with very high effective radiated powers. 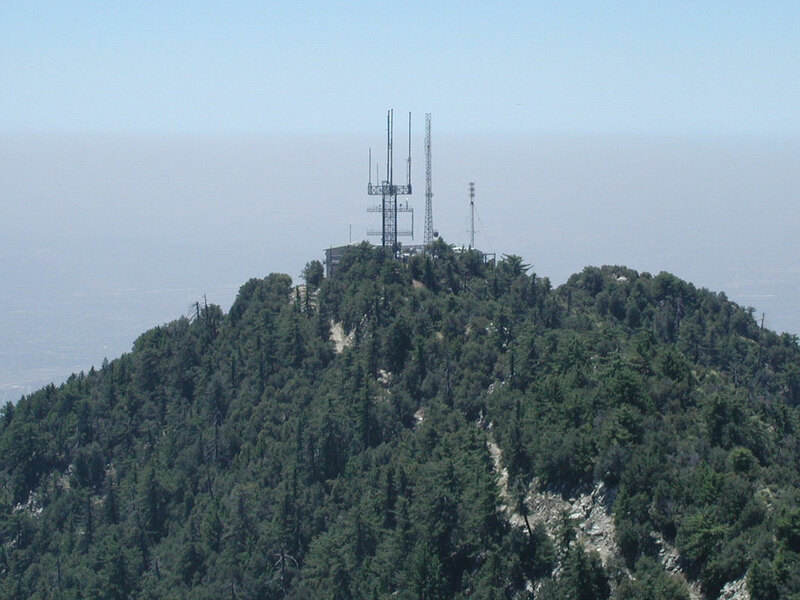 Mount Harvard is located about a mile south of Mount Wilson. 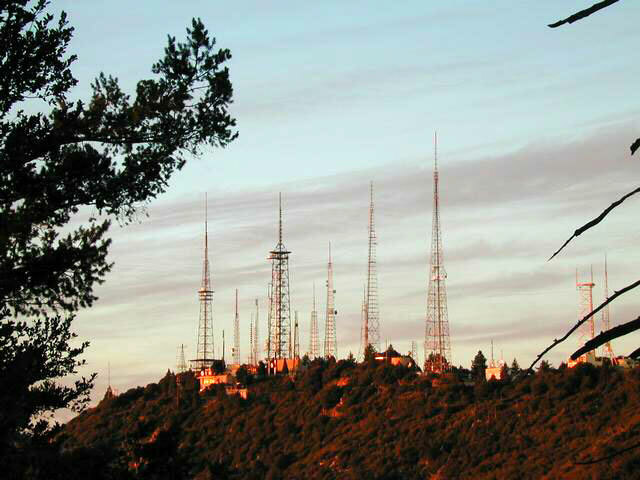 Mount Lee is a peak in the Santa Monica Mountains, in Griffith Park in Los Angeles, California, USA. 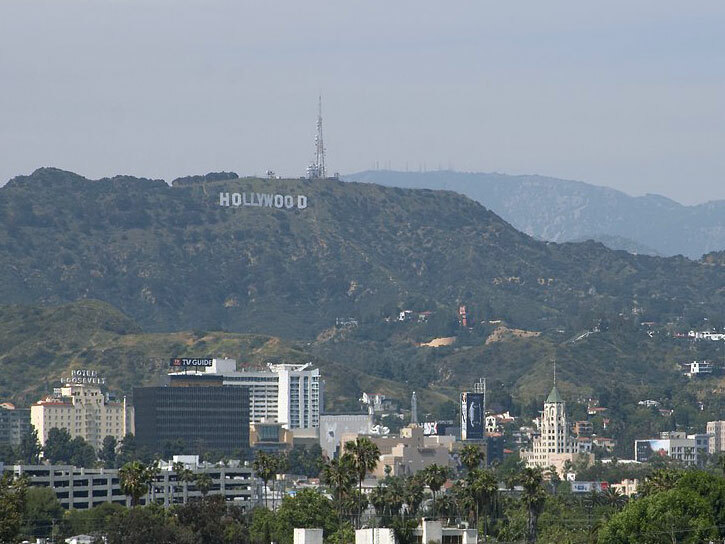 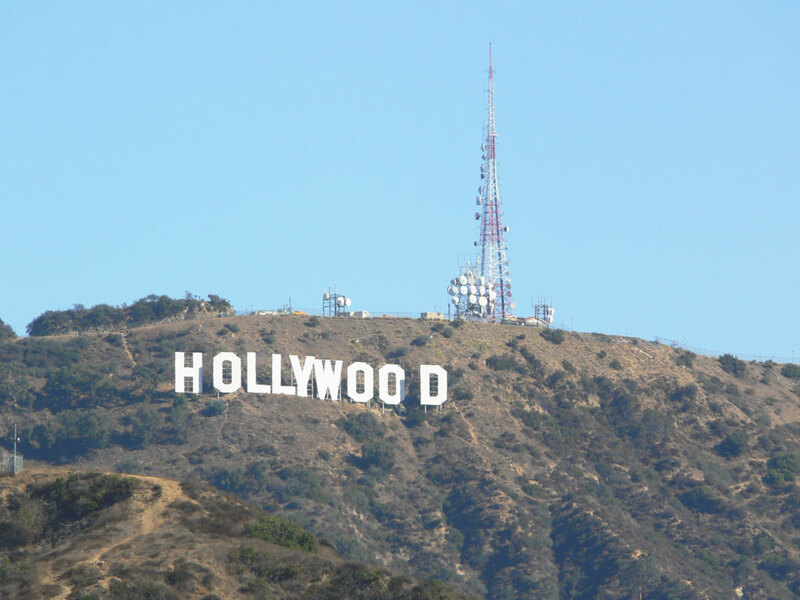 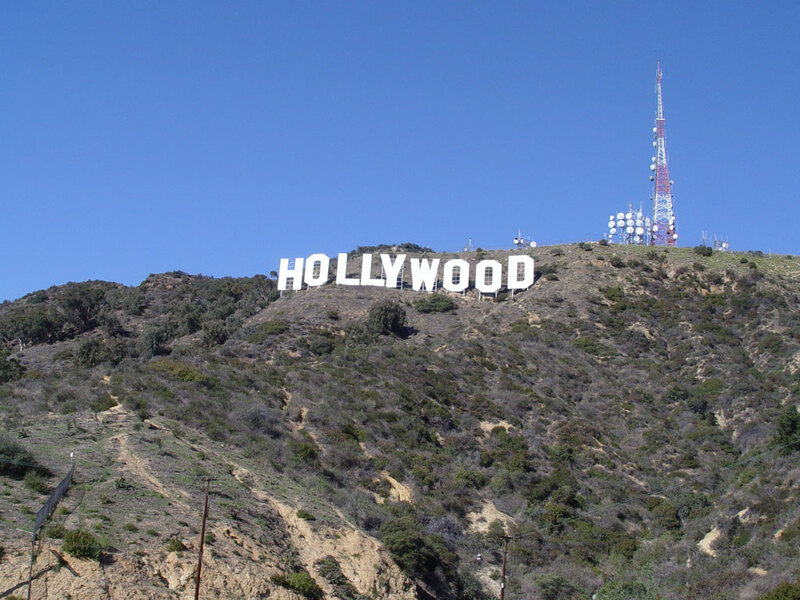 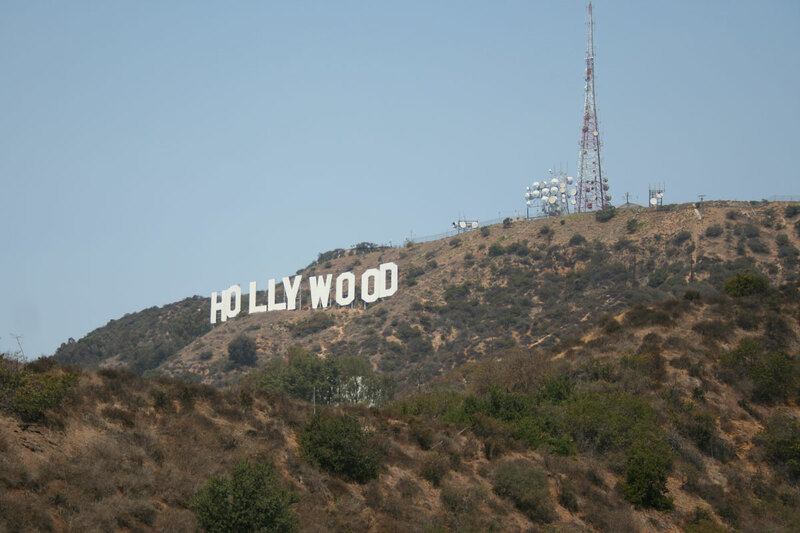 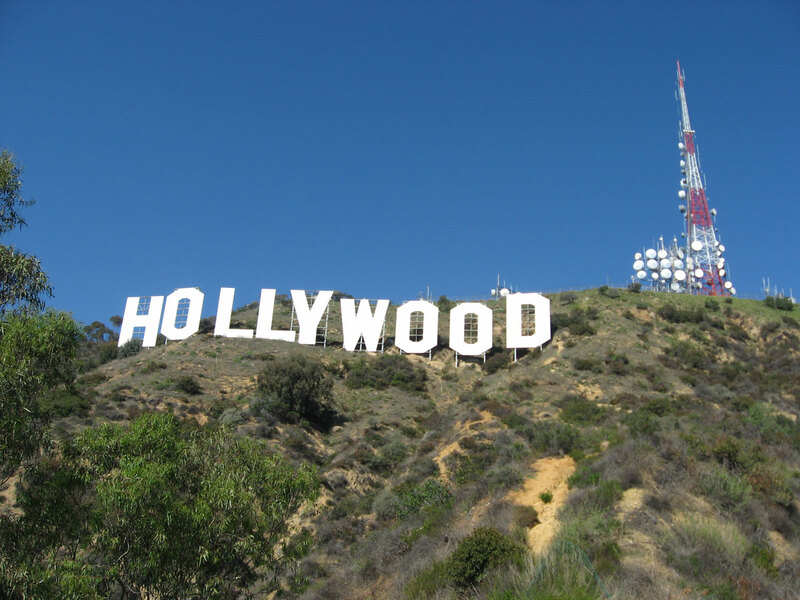 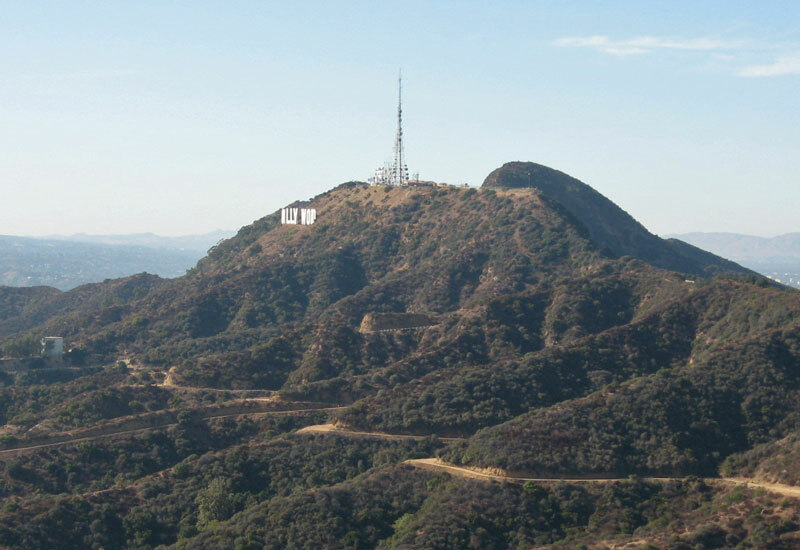 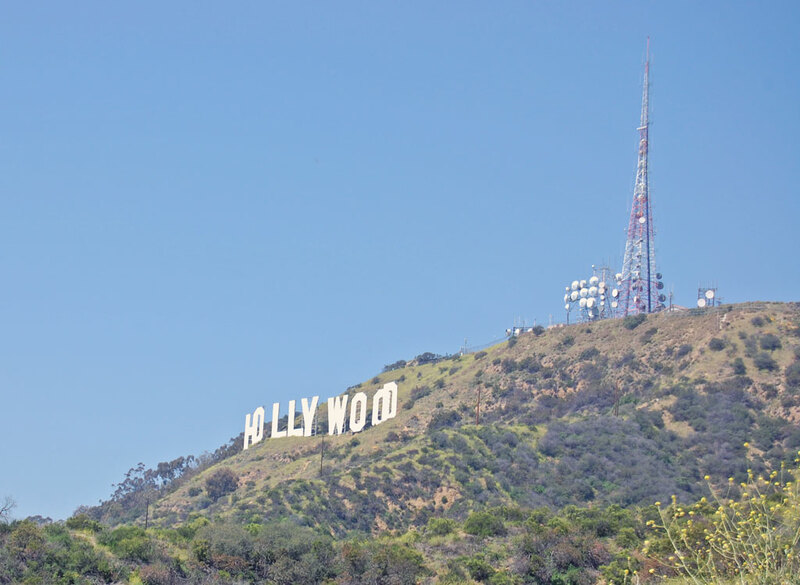 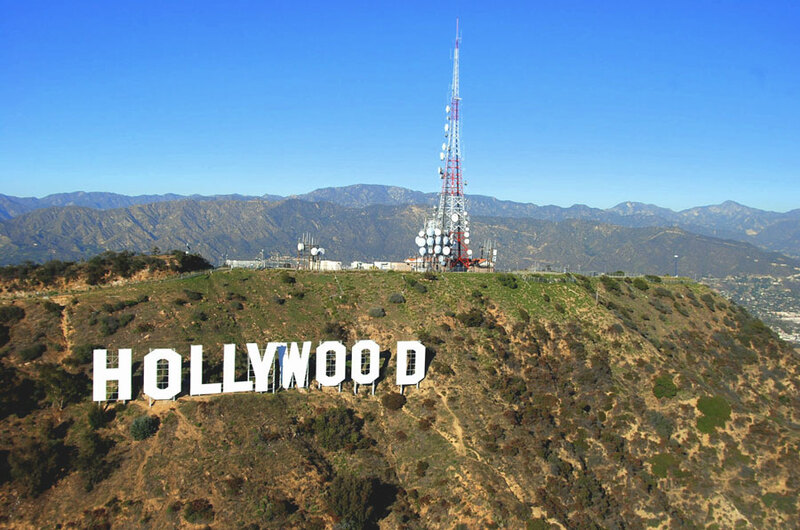 The famous Hollywood Sign is located on its southern slope. 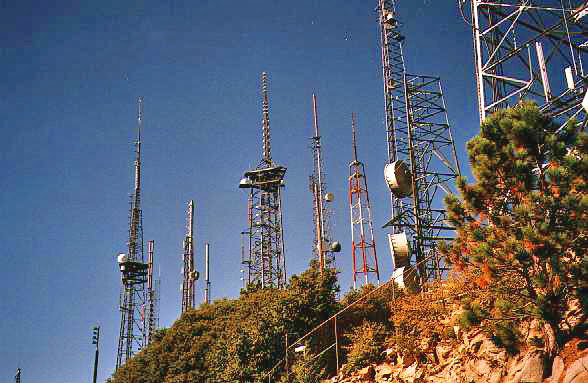 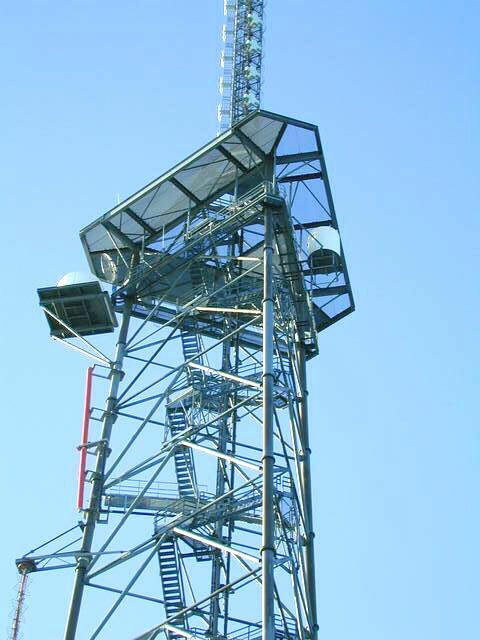 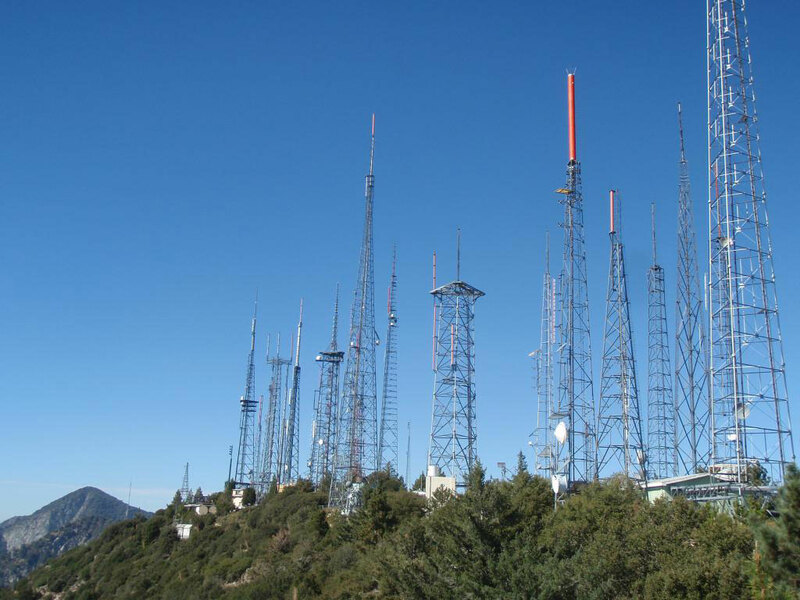 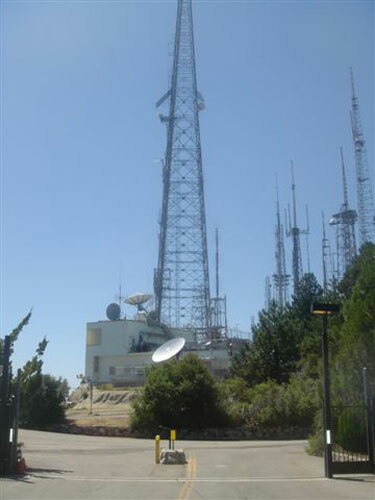 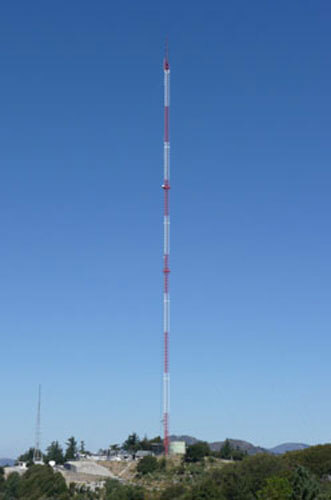 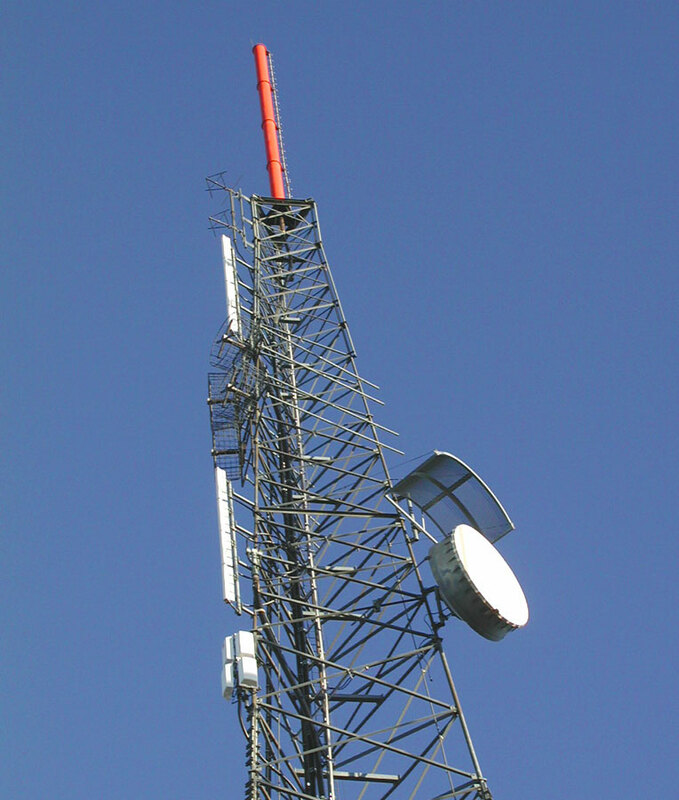 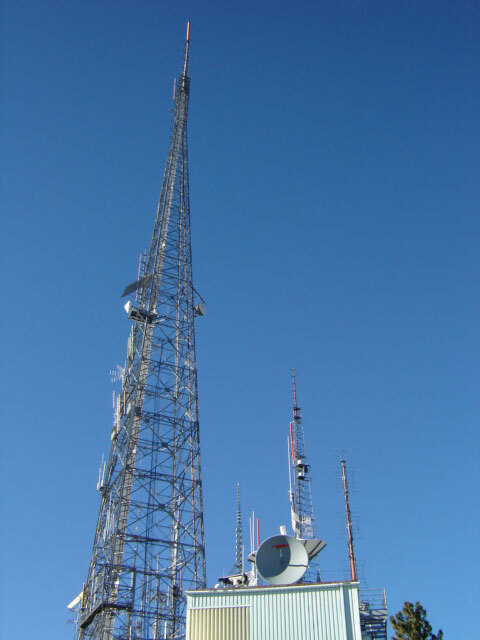 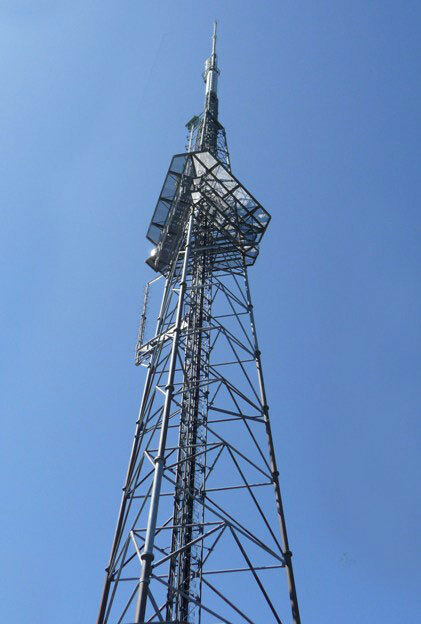 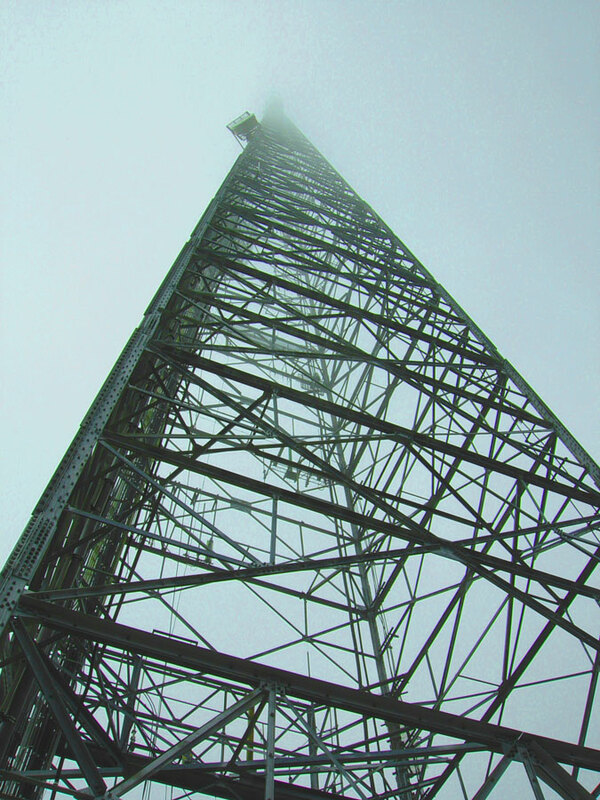 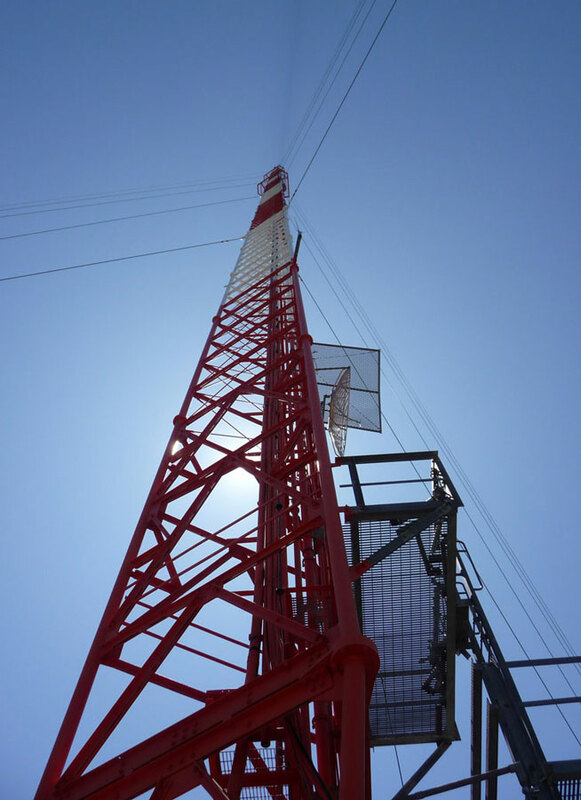 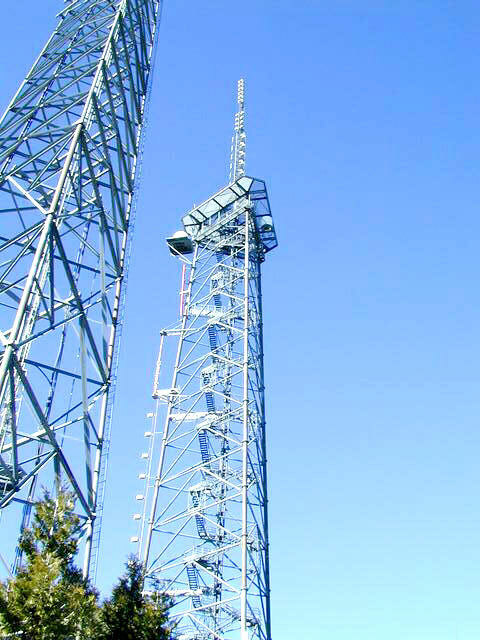 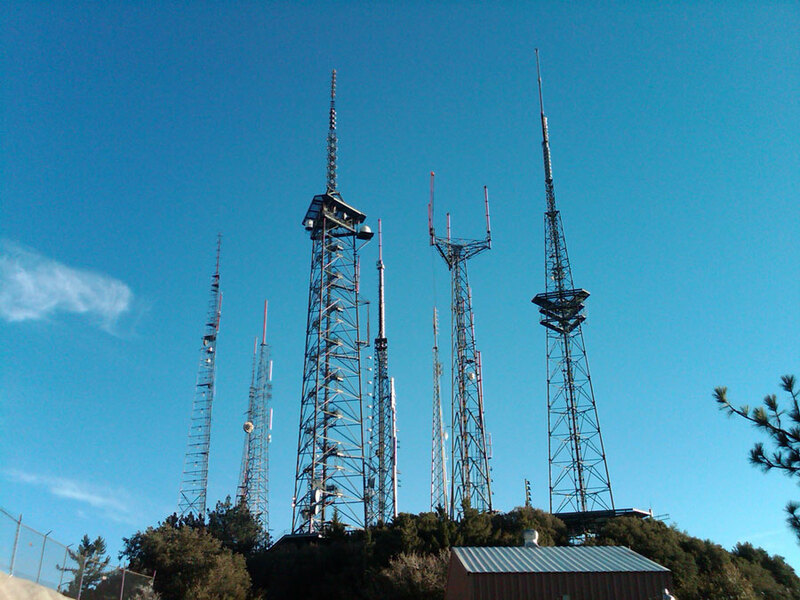 The large radio tower atop Mount Lee today is owned and operated by the City of Los Angeles. 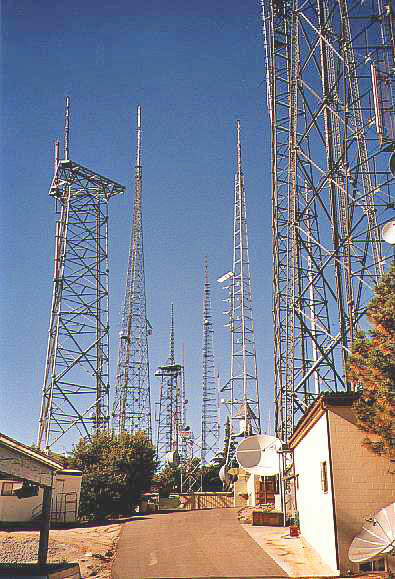 Smaller tenants on the site have included some federal government and amateur radio users.